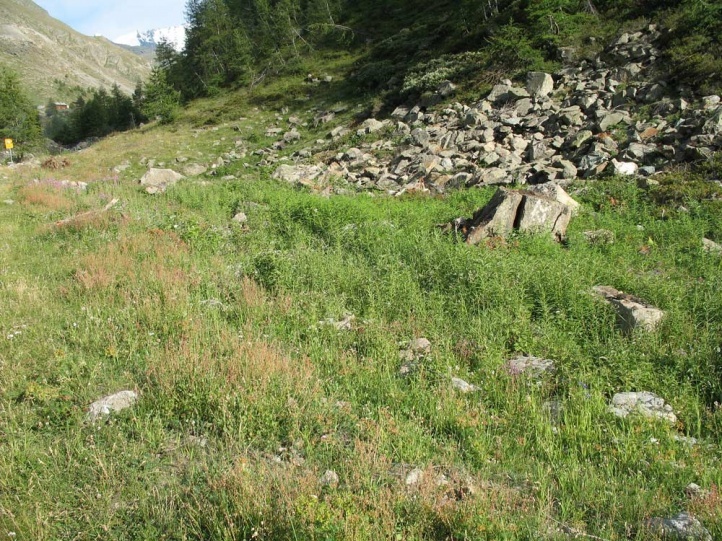 Rumex species like Rumex scutatus, R. acetosella and others. 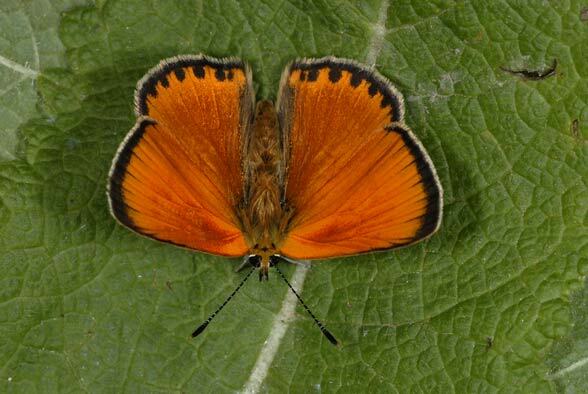 Lycaena virgaureae is an inhabitant of coniferous, mountainous forests at rather cool-humid continental locations. 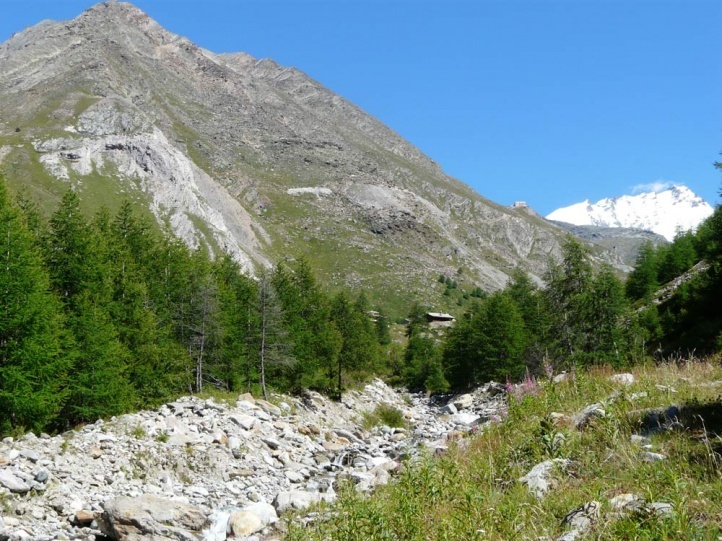 But this does not mean low-light spruce monocultures, but primary, sparse forests with gap systems and grassy clearings, block fields and forb communities. 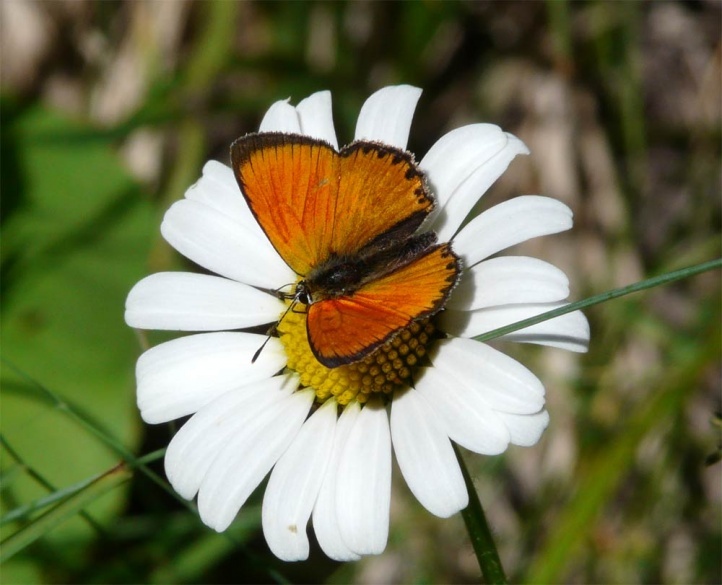 In Germany Lycaena virgaureae still occurs in some mountain ranges such as the Black Forest or the Bavarian Forest and rarely near the alps in spruce forests. 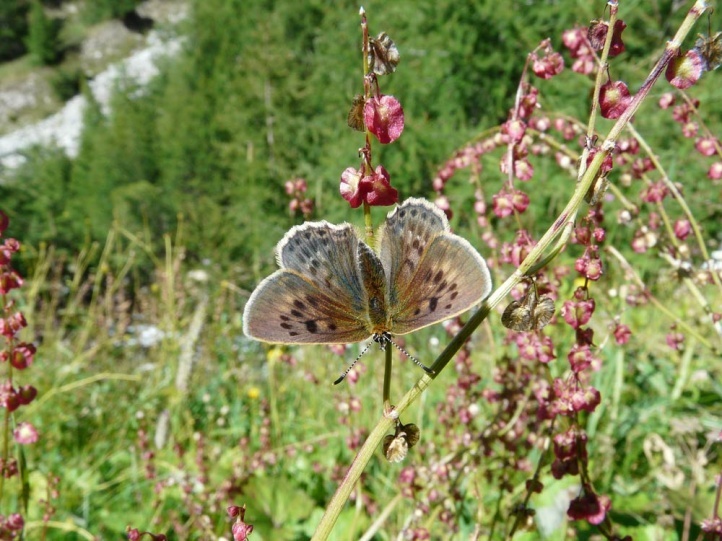 In the Alps south of Germany, Lycaena virgaureae is however still quite widespread and sometimes common. 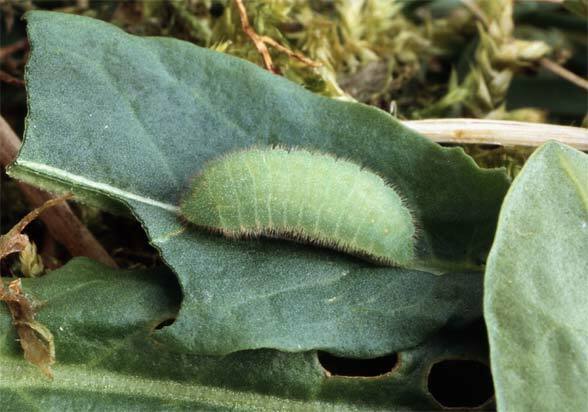 There, it likes to settle in rubble fields in sparse larch forest with Rumex scutatus. 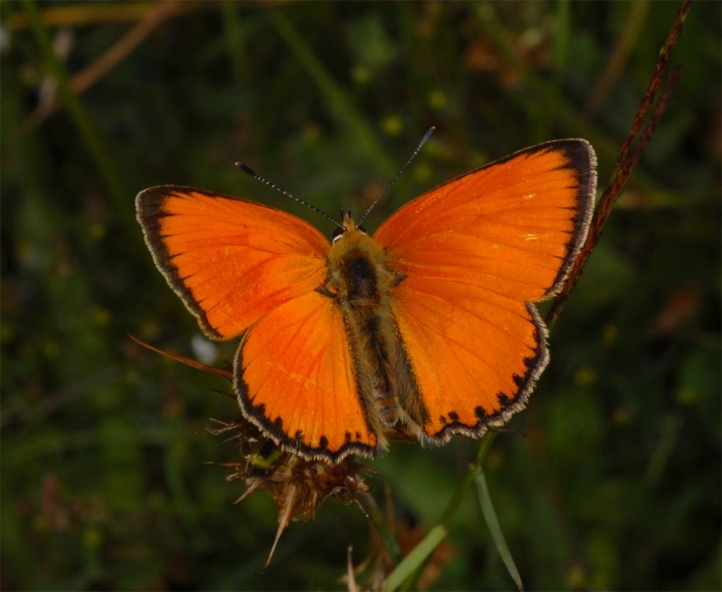 Lycaena virgaureae flies in a single generation in high summer (late June/July to August, at high altitudes still in early September). 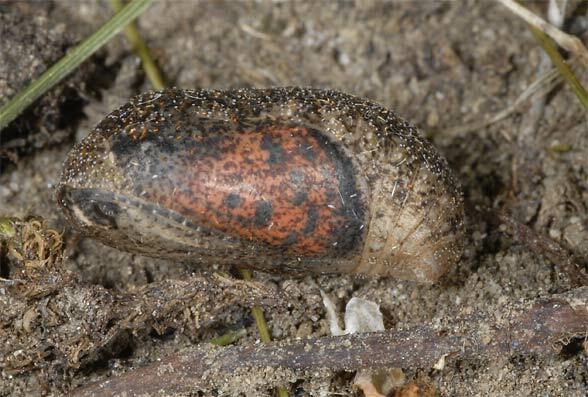 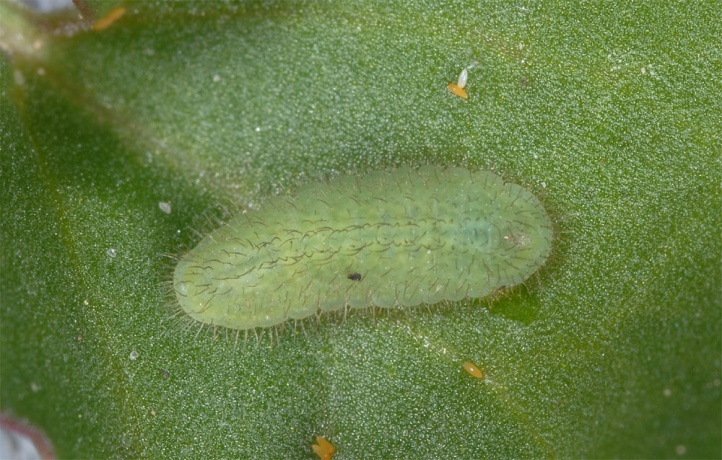 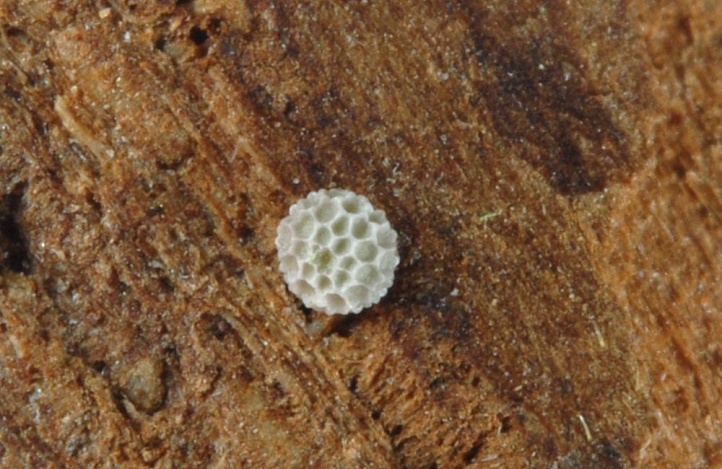 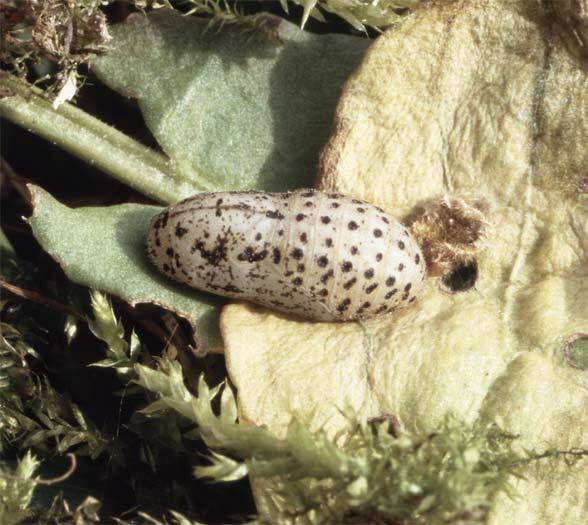 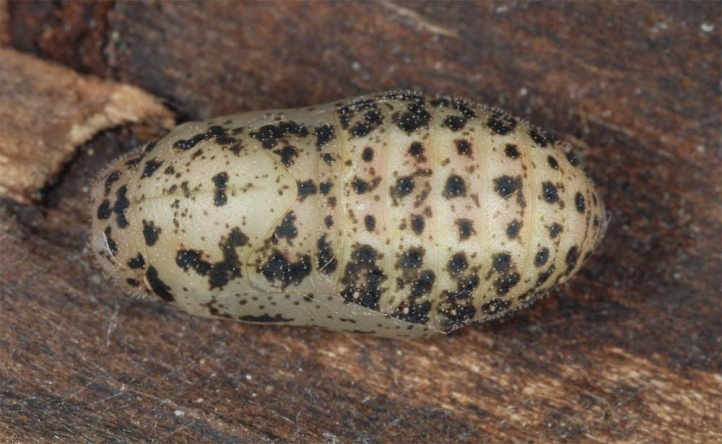 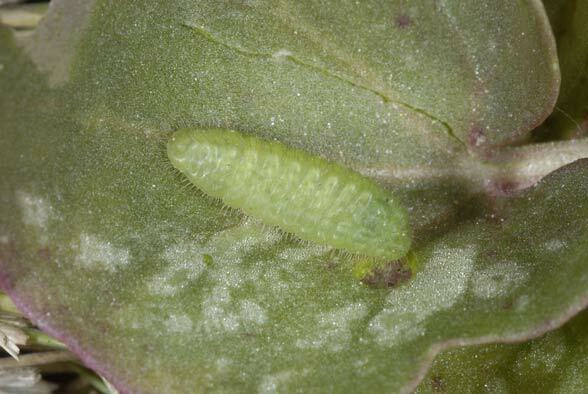 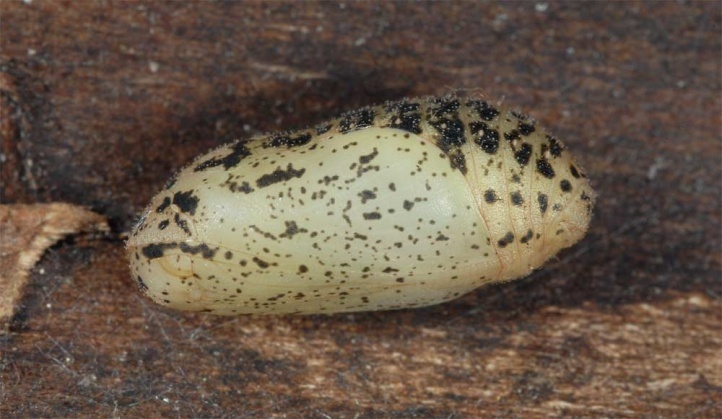 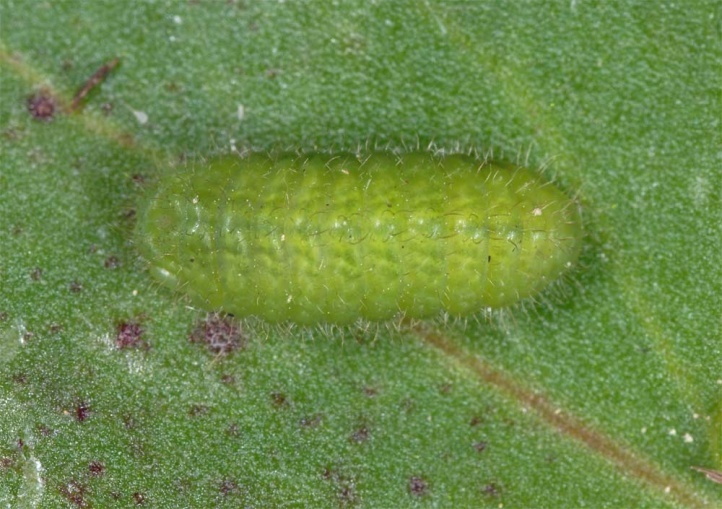 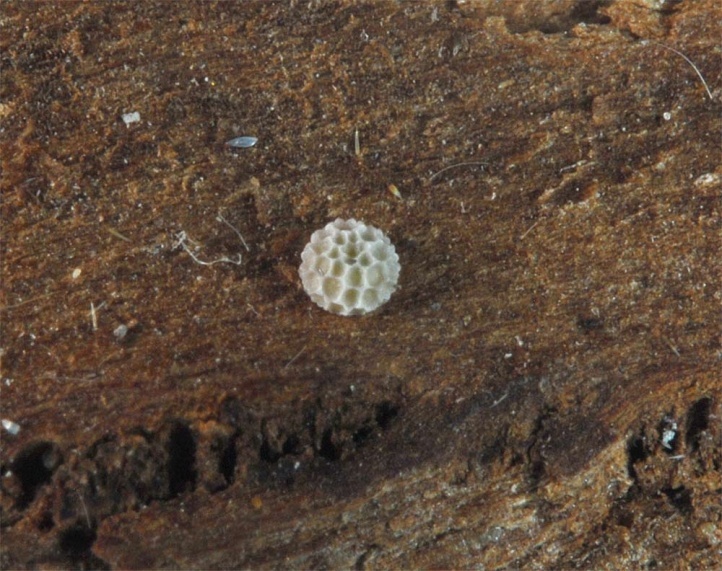 The caterpillar overwinters in the egg, which is usually attached to dry parts of plants in the vicinity of the larval host plant. 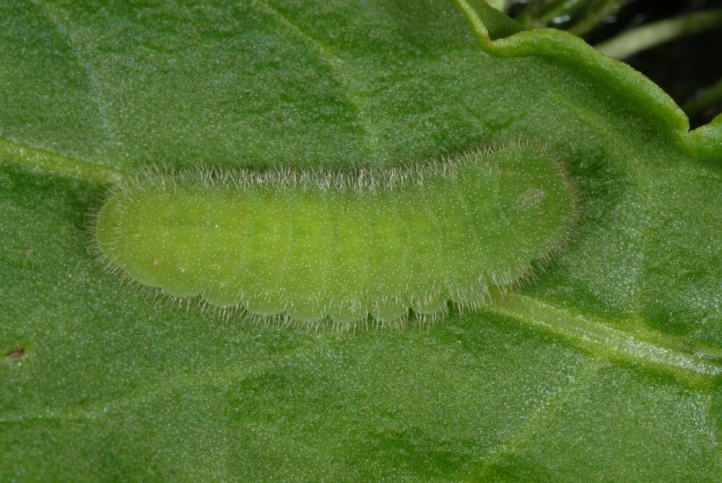 I shook The young caterpillar out of cushions of Rumex scutatus in late May at 2100m above sea level (Täschalpe in Swiss Valais). 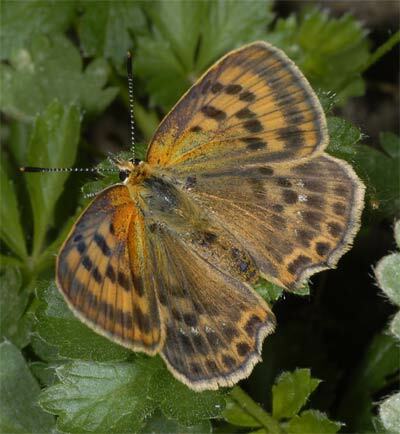 In Central Europe north of the Alps, Lycaena virgaureae is threatened with extinction by the darkening of the forests. 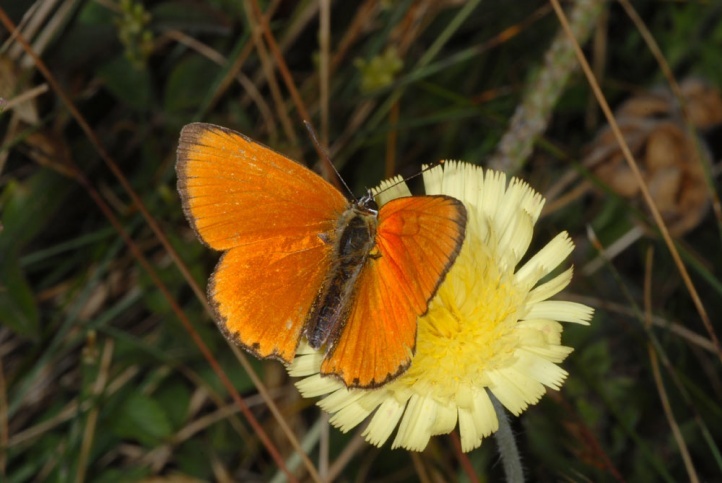 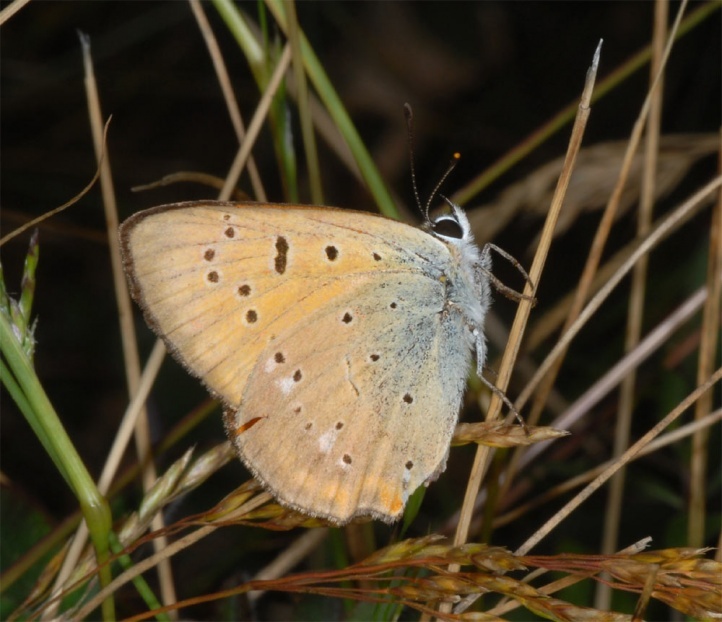 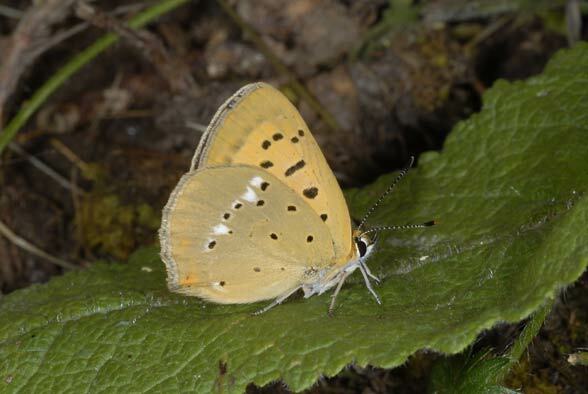 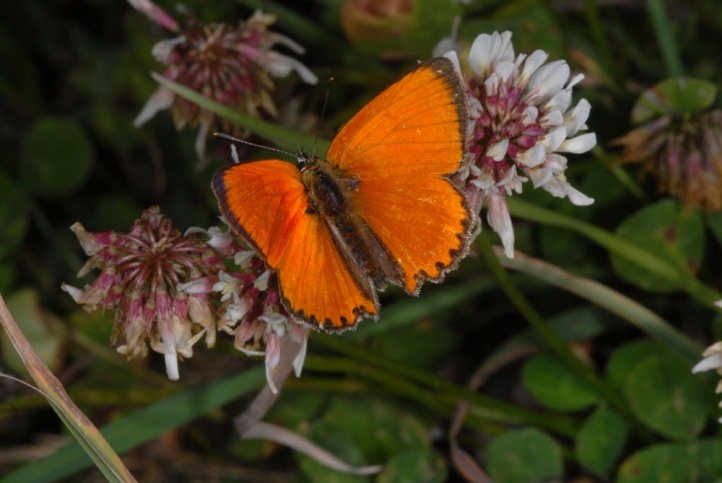 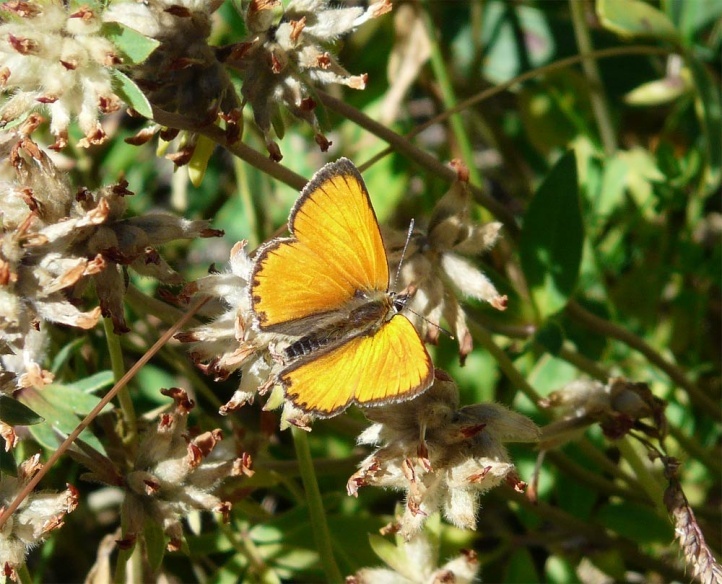 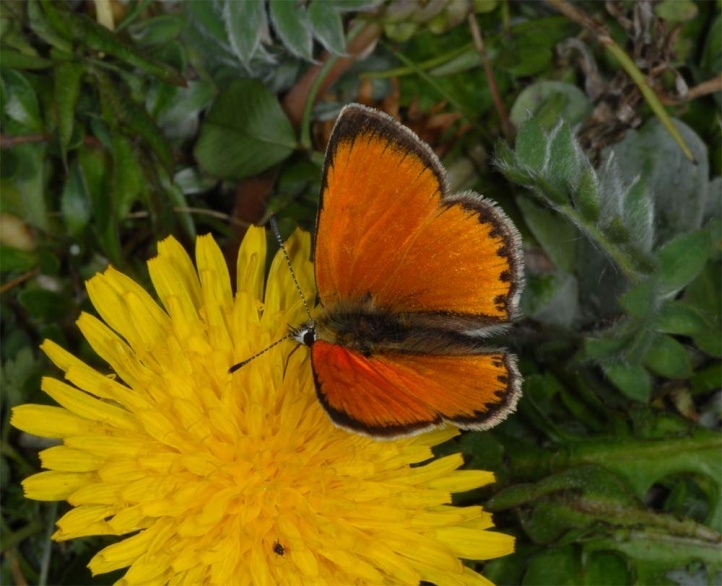 In the Alps Lycaena virgaureae is also in decline especially in lower elevations (agricultural and forestal intensification, abandonment of forest grazing, tourist development). 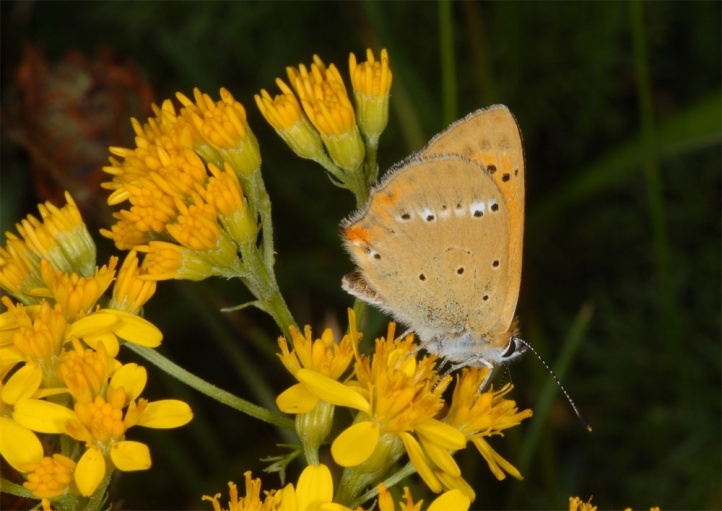 The imago seems to prefer white and yellow flowers from Asteraceae type. 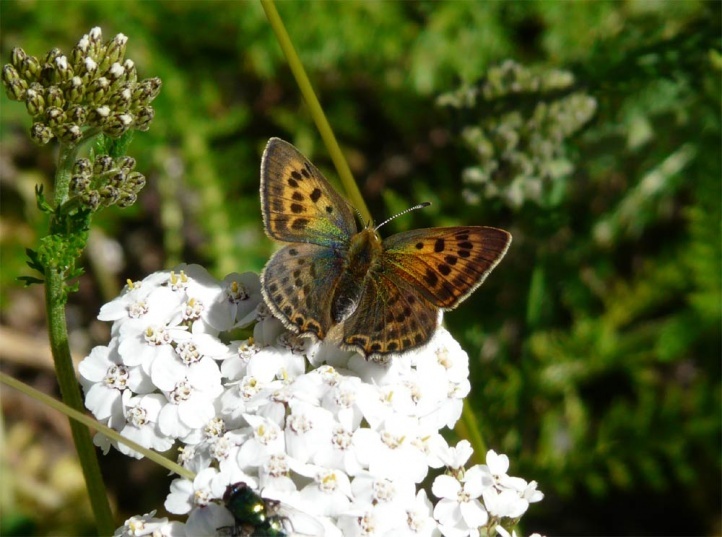 I observed many adults on Achillea millefolium in Valais. 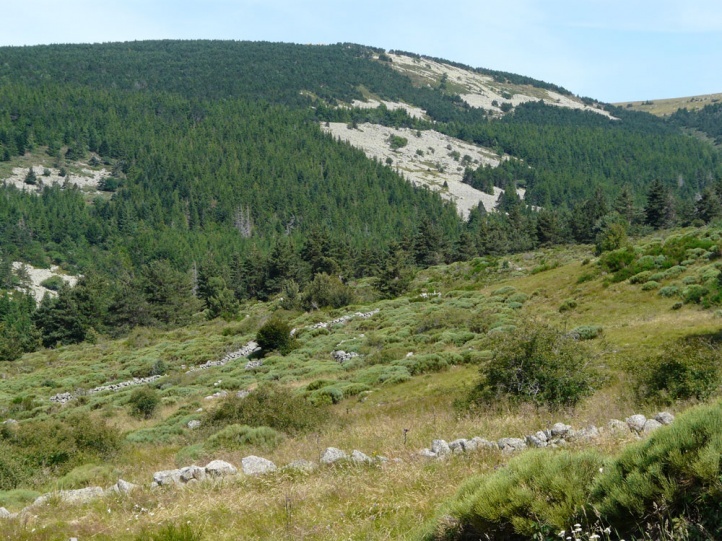 The overall distribution ranges from Spain to Mongolia, but Western Europe is inhabited only very locally in mountains.